I'm actually in Austin for the weekend, so no bento making for me. 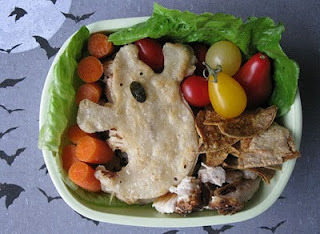 However, this is the perfect time to share some of my favorite Halloween bentos I've seen lately. 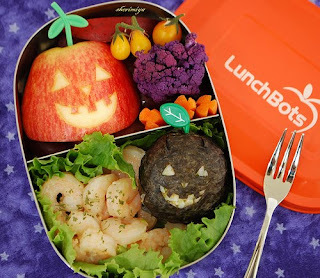 In case you haven't noticed, I'm just a teeny bit obsessed with Halloween bentos and there are so many awesome ones out there. I mean, who wouldn't want to open up their lunch and see a happy pumpkin or Frankenstein or ghosts looking back at them. I've made some amazingly talented bento friends through this blog, so be sure to follow their links to see more than just a sample! Sheri at Happy Little Bento has some of the cutest Halloween bentos I have seen. This little green Frankenstein is absolutely adorable, can you believe he is made with broccoli rice? And I have to give recognition to her pumpkin carving skill, especially since she carved an apple! Sonoma Bento has several of my favorites too. I mean, the spooky fingers look real (Ben would totally love those). They are rather delightfully creepy! Or check out this awesome quesadilla ghost! I think he's kind of cute and adding him to my list of things to try at home. 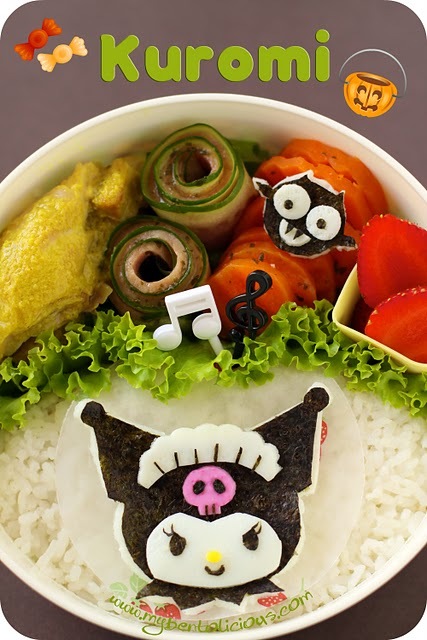 I love what Lia at Bentolicious has done. 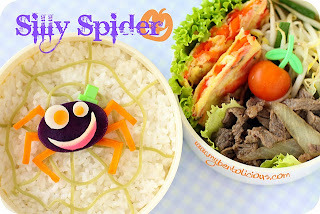 She shared that they don't actually celebrate Halloween in Indonesia, but that she was enjoying the Halloween bentos so had to make her own as well. Isn't that awesome? I think her spider may be the cutest one I've seen yet! And this is another one I just had to share! It's Kuromi, who is (I learned) the rival of My Melody. She's not necessarily a Halloween character, but she fits the theme perfectly! Just wanted to thank all three of you for letting me share your awesome creations! Can't wait to see what it up next! I know, right? 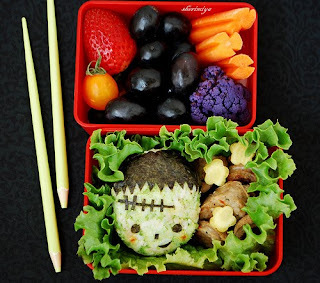 There are -so- many cute Halloween bentos this year - it's killing me! 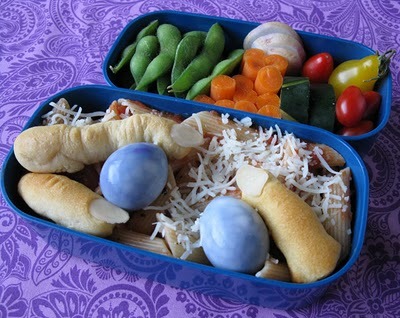 Thanks for sharing the bento love Shannon. So sweet of you to give a mention. Mwah. And looking forward to one more week of Halloween fun here and all over bentoland! Those are SO CUTE! Love them. :)I especially like those fingers. This is so great. That way us who are not very creative can copy :) Thanks. I really want to try the quesadillas and fingers now!